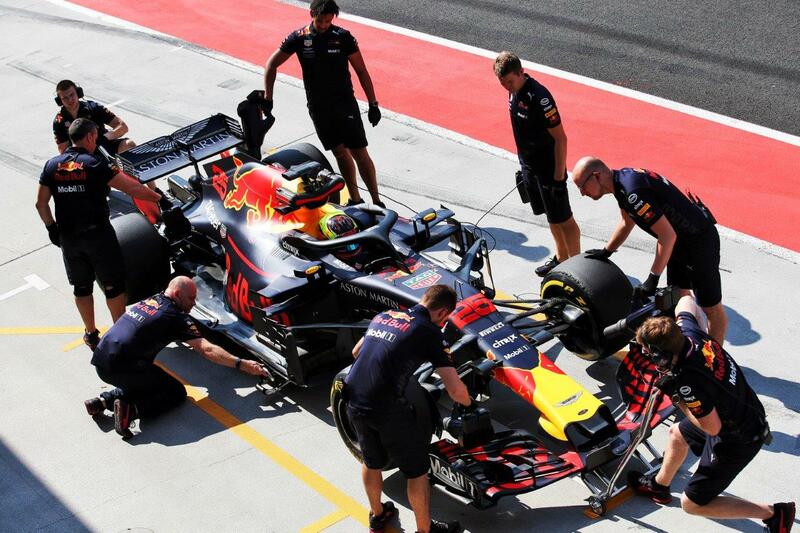 Aston Martin Red Bull Racing Simulator Development Driver Jake Dennis posted the third fastest time of the day, after completing 131 laps of the 4.381km Hungaroring Circuit. Formula 1’s second in-season test of the year drew to a close today, with Aston Martin Red Bull Racing Simulator Development Driver Jake Dennis posting the third fastest time of the day as the team worked through a busy programme of development work aimed at the final stages of this season, and with an eye to the 2019 campaign. Today was Jake’s second taste of the RB14 after making his test debut for the team in May. Once again, the simulator driver provided the team with a huge amount of valuable data and feedback as he worked through set-up options, tyre testing, aero mapping duties and, just for good measure, some performance runs on the softer end of Pirelli’s tyre range. Jake posted a best time of 1:17.012 and matched the day’s largest lap total, competing a total of 573.9km of testing mileage. Jake Dennis, Aston Martin Red Bull Racing Simular Development Driver “That was a good day! We did 131 laps, I think Daniel did 125 yesterday, so a lot of mileage for the team and a lot learned. I was focused on some long runs in the morning and then some softer tyre stuff, which I enjoyed. To push the car to its limits was a great experience. Then it was back to more long runs in the afternoon and we think we made some big progress with the car. Overall, a very good day and I can’t thank the team enough for inviting me back. Senior Projects Engineer Jeff Calam “We had a very busy programme today and we got through all of the items scheduled. In the morning we again ran with a range of parts targeted at the RB15 and were able to do a lot of good work testing those against the RB14. We also got through some aero mapping of the RB14 and the data we gained will be of enormous value in relation to the final nine races of the season. We also did some tyre work, with Jake completing runs on the softer tyres.